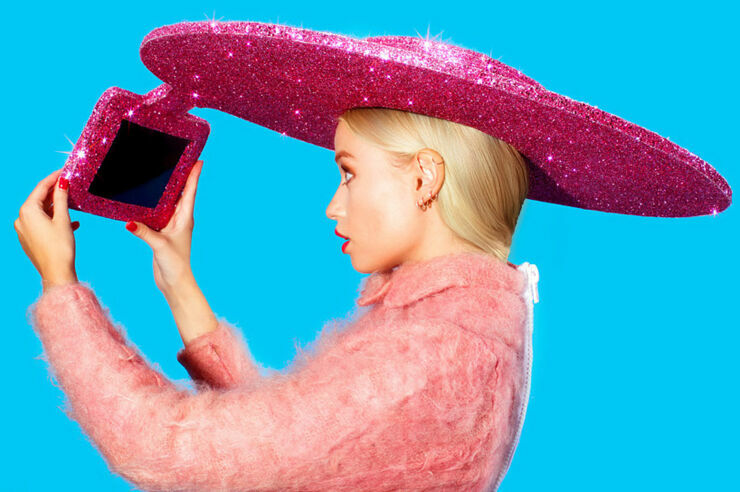 ACER x CHRISTIAN COWAN-SANLUIS "SELFIE HAT".Acer & Christian Cowan-Sanluis released this video with the launch of the world first "Selfie Hat". If you're someone who can't stop taking selfies but you're fed up of holding your arm out to take them—and you don't mind be openly laughed at in the street—then maybe you should hint at your friends that you want this hat as your next birthday present. Have a look at the video above and the pictures below and you'll get an idea of what all the cool(?) people will be wearing soon. The glittering pink abomination comes from an unholy collaboration between designer Christian Cowan-Sanluis (no surprise that he designs for Lady Gaga) and Acer, who make laptops, tablets and other devices. It's a piece of wearable tech that manages the incredible feat of being less subtle than Google Glass. 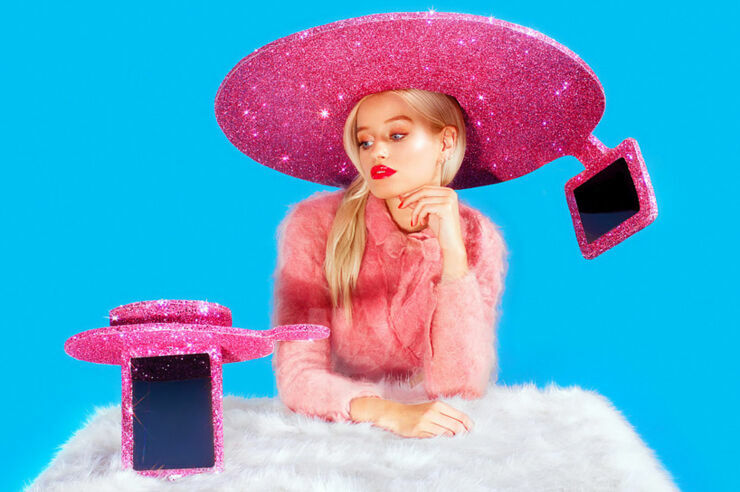 The glimmering hat has a little pouch hanging from it that you can place an Acer tablet into, then presumably leave the house and spend the rest of the day being ridiculed by everyone you meet. The hat was unveiled recently at London Fashion Week and surely must be some kind of hilarious fashion joke. Please, please let it be a joke. Pretty please? If you are still interested (seriously?) in finding out how you can be the proud owner of one of these fashion fails then get in touch with Christian and say we sent you!